Splatfests have always felt equally exciting and frustrating in Splatoon 2. These timed events run about every month, asking players to choose a side—Pirates or Ninjas, Cake or Ice Cream—and then rack up wins and points. When they occur, the Splatoon community lights up with in-game posts for their chosen side, but matches are sometimes lopsided or counter-productive. In some early Splatfests like the notorious Mayo v. Ketchup battle, sides with significantly more votes were able to win even if they only beat out multiplayer score by a small margin. The changes introduce two versions of Splatfest matches, Normal and Pro, which seem like they’ll help factions earn a fair victory. Normal matches can be played with friends or strangers. Notably, players looking to team up will finally be able to queue in groups of two or three, instead of only group of four. Players in these matches who ink turf or help their team win matches earn “clout,” which counts toward a facton’s overall Splatfest win. 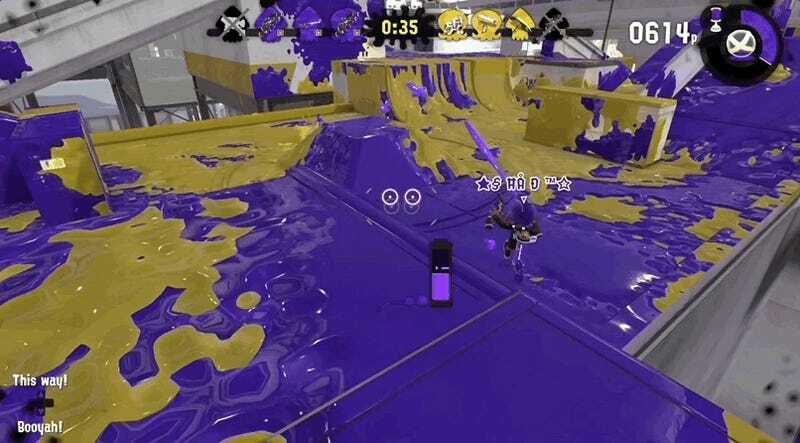 The fact that inking turf counts means you don’t have to worry as much about splatting enemies. Pro mode is solo queue only and is also about gaining clout for your faction but also tracks players’ Splatfest Power. Players are matched based on their Splatfest power levels. The winner in Pro mode received clout equal to the enemy team’s average. Beat a tougher team, and you’ll get more. I’m not entrenched enough in Splatoon 2 to pick up on every minute shift in the meta-game but jumping into 4.0, I could spot some useful weapon tweaks and trends that affected my play. 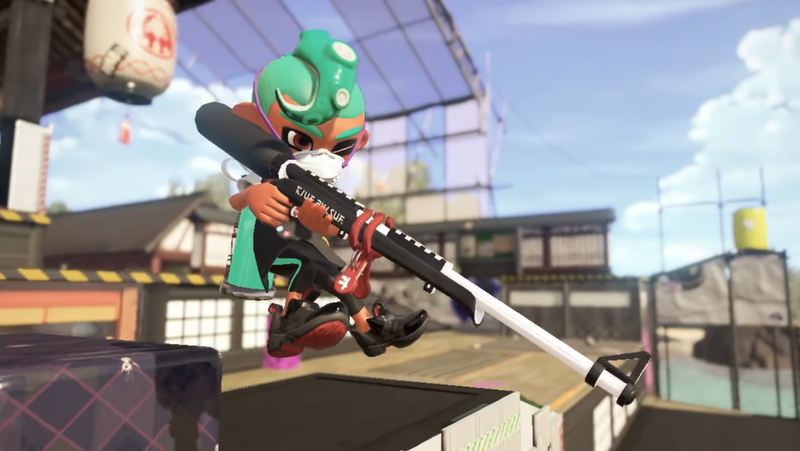 Changes to heavier weapons like the .52 Gal and the .96 Gal make them more reliable at splatting enemies. The .52 received a modest percentage change in damage distance—14% more distance where max damage still applies—and I found that gave me much more incentive to swap out my dualies for the chunkier gun. That was also because a few of the dualies had adjustments to increase the cost of the dodge roll, which made my dodge heavy style a bit more difficult to maintain. Between this and a nerf to sloshers, there was a lot of incentive to switch up my arsenal and play around.